The Office of Personnel Management was able to make a nice dent in the backlog of outstanding retirement claims despite a higher than usual batch of new ones coming in during the month of March. 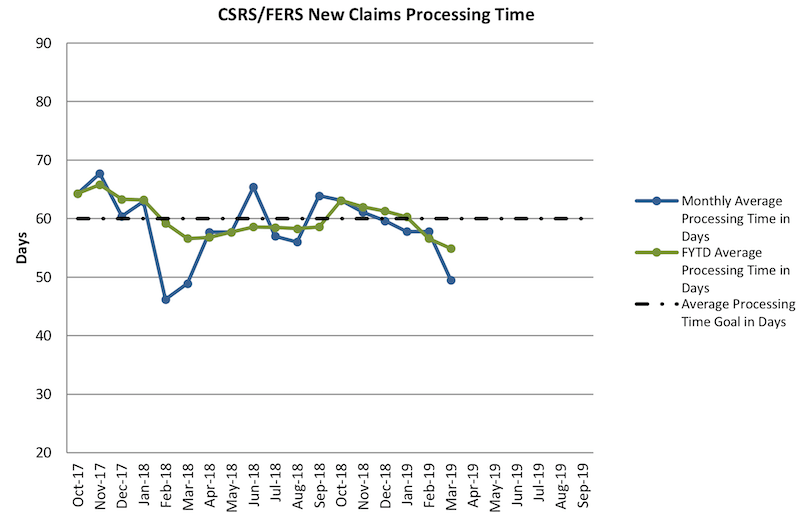 OPM processed 13,217 claims in March against 10,048 new claims, bringing the total backlog down to 20,201, 13.6% lower than it was at the end of February. The backlog is still quite high though thanks to the typical surge of applications that come in during the months of January and February with federal employees retiring at the year’s end. But OPM’s progress came thanks to processing higher than usual numbers in the last two months. Despite that, the agency has a ways to go to get back down to the 13,000 mark, its “steady state” and stated goal for the backlog. 2016 was the last time the backlog was at or below the 13,000 mark, and it is almost 8% higher than it was in March 2018.